Ahoy - this time we’re talking about serial compression - exactly what’s going on, and why you shouldn’t be too scared of using multiple compressors in series. Serial compression can be very straightforward: it’s simply 2 or more compressors in series, one after another, with each compressor carrying a little (or a lot) of the workload. It can be used on individual tracks, on the master, or on any busses - in fact it would be rare that any song released these days wasn’t run through a few compressors in series, during mastering. Essentially, the reason to be aware of/understand serial compression is because you can achieve results with it that you just can't get with a single compressor. For example, when mixing individual tracks, I’ll often use a fast-reacting compressor with a higher ratio first to catch the higher transient peaks and increase the ‘short-term consistency’ of the audio. Then I’ll follow it up with a slower compressor at a lower ratio to deal with more long-term level variations. This way, the second compressor has a smoother, more balanced signal to work on and won't ‘pump’ or ‘breathe’ due to a sudden burst of energy on signals with occasional loud peaks. I find it really helps with dynamic vocals and inconsistent bass guitar. The classic chain for this kind of thing is an 1176 into an LA2A. This can often result in a more transparent, natural sounding compression, as well as reduce potential negative artefacts caused by heavy compression, such as treble loss, and/or plugin aliasing - some plugins can sound okay when doing gentle compression but kind of ‘fall apart’ when being pushed. You can also benefit from the colouration or ‘character’ that both compressors will impart on the sound. Consider a vocal that’s been recorded through a hardware compressor using a 12:1 ratio, followed by two more compressors used in serial during mixing, with a ratio of 8:1 and 2:1. Now let’s say there’s also an SSL bus compressor on the master bus applying a 4:1 ratio (which is a totally reasonable scenario for a mix I might do). What’s the full potential compression ratio that this vocal track goes through? Given that any ratio above 10:1 is considered limiting, 768:1 seems a ‘little extreme’, and that’s before mastering with more compression and limiting. Even with no compressor used during tracking, there’s still potentially a 64:1 compression ratio being applied to the vocal. So yeah… it’s easy to over-compress using serial compression. To break it down and really help us understand it: imagine two compressors in series, both set at a threshold of -10dB, and both with a ratio of 4:1. Theoretically, this should result in a potential 16:1 ratio using serial compression. So yeah, going from 8dB (initial signal above threshold) to 0.5 gives a 16:1 ratio (because 8 divided by 0.5 is 16). But these figures don’t tell the whole story as, in reality, serial compression is rarely (if ever) done by setting the thresholds of the two compressors identically, so the aggregate ratio of compression is much more ‘fluid’. Additionally, both compressors probably wouldn’t have the same attack and release times, the same knee, and so on, so they wouldn’t always be acting on the same part of the signal. I’ve never even used a Fairchild on a track that ended up getting released, yet here they are, in a picture, on my website. Some of the signal maybe be uncompressed, some parts compressed by only one compressor, and some by both. Often the second one is releasing while the other is holding, sometimes one can be attacking while the other is attacking or releasing, so the interplay becomes quite complex. So, the result of two compressors in series and both set to 4:1 - while theoretically identical to one compressor doing 16:1 - is usually an extremely non-linear form of compression, and one that could never be achieved by a single compressor set to 16:1. Sonically, serial compression tends to be more transparent because the attack of the second compressor is often masked by the simultaneous movement of the first - and because the compression thresholds aren’t the same, the multiplied-ratio compression is performed on a smaller part of the signal than it would be if a single compressor were doing all the work. Read that again and you’ll see that it does make sense! Obviously, there are no rules – you can place the slower compressor first, letting transients slip though, and then deal with them with a second, faster compressor! I do this all the time when tracking in my own studio, using a DBX 160XT (in over-easy mode) first as an insert, followed by an 1176. Or use two fast compressors, two slow ones, whatever. Take care not to over compress using this technique, just experiment and have fun. As a parting bonus: you might find that when using serial compression on a vocal requires more de-essing than you’re used to applying. But that’s okay! It doesn’t necessarily mean you’ve ‘over-compressed’ if that’s what sounds good to you, and you want a really upfront sound. Just use the method described here to go in and turn down the sibilant parts - and you might even find that you need to use a de-esser somewhere towards the end of your plugin chain, as well. Don’t worry, if you think it sounds cool, then it’s all good. Good afternoon to you - I recently mixed/mastered some tracks for The Caress - an alternative five-piece based in London, and they’ve released the first two tracks ‘Bruiser’ and ‘Oh God (I’m So Lonesome)’. There are Soundcloud steaming links below, but you can also check them out on Spotify, iTunes and YouTube. And all the rest. These guys write beautiful songs and I can’t wait to be able to share more soon! This post is long overdue - but I’ve been really busy (washing my hair, mainly). Here’s a track I engineered/produced/mixed/mastered by amazing songwriter and musician Michael Jablonka. He’s an amazing guitarist (he’s the touring guitarist for Michael Kiwanuka) and I love that the song has amazing hooks as well as a ridiculous guitar solo. At the end of the day if you have a gold sparkle guitar you better be able to play. We tracked the drums and bass and some of the rhythm guitars at Press Play in London, the rest at my studio. There’s a Soundcloud player below, and here are links for iTunes and Spotify. Michael is so talented and has a new EP coming really soon, can’t wait to hear it! And of course, voyamusic.co.uk is coming soon. We do hope you join us on our journey. Yes, I do realise that it's been a while since I posted, but I've been very busy recording an album. Isn't that nice? Anyway, when it comes to compression, the truth is that even some experienced engineers and producers can feel frustrated when trying to set a compressor – especially the attack and release times. A technique popularised by Michael Paul Stavrou in his book Mixing with your Mind (a very expensive but highly recommended book!) helps to overcome this. Loop up a piece of audio, such as a snare sample or drum loop you’re familiar with, and start to adjust the attack time until you can hear the transients poking through, and really understand and get a feel for the way that the attack works on the particular compressor you're using. Try to ignore the distortion and extreme compression and just focus on the attack transients; pay attention to when there's too much 'clamping down' on the transient. I was going to included a screen capture video of myself, following the process with the built-in Logic X compressor, to show you how quickly it can be done - then I thought, you know what? Nah - you do it. You know? Okay, PERHAPS I recorded it several times, only to realise it wasn’t capturing the screen audio and would be useless to everyone, but let’s pretend that this is a lesson in tough love and DIY ethic. Anyway, once you have the attack set to your taste, you can move onto the release. Listen for when it’s too fast and there’s too much distortion, or when extreme pumping occurs. Once the release is set move onto the ratio, and finally back the threshold down to give a more reasonable amount of gain reduction, and then set the make-up gain. How does it sound? Next up, we’ll talk about serial compression - chaining these lovely things together in a row for further awesomeness and sonic beautification. I’m over the moon to have had a small part to play in the creation (mastering) of this amazing, new track from my buddies BuzzardBuzzardBuzzard - the band so good, they had to name it three times (or something?). Wonderful video by the good folks @ On Par Productions. You can listen here on Spotify or Apple Music or click the video below (he gets naked in it so you may as well). 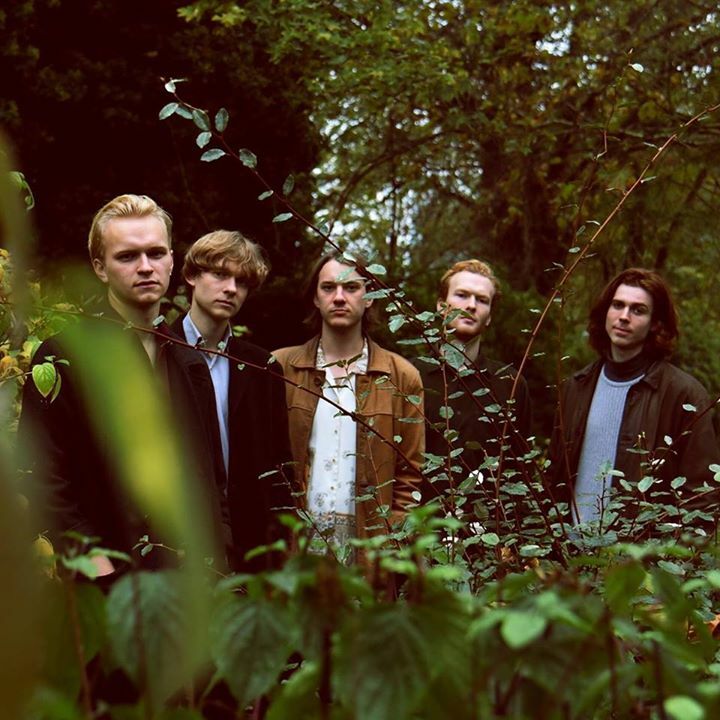 They just returned from a UK tour with Goat Girl, and will be playing @ The Lexington on 28th November. I’m quite sure that this is just the beginning of a wonderful future for them.... more to come soon…. 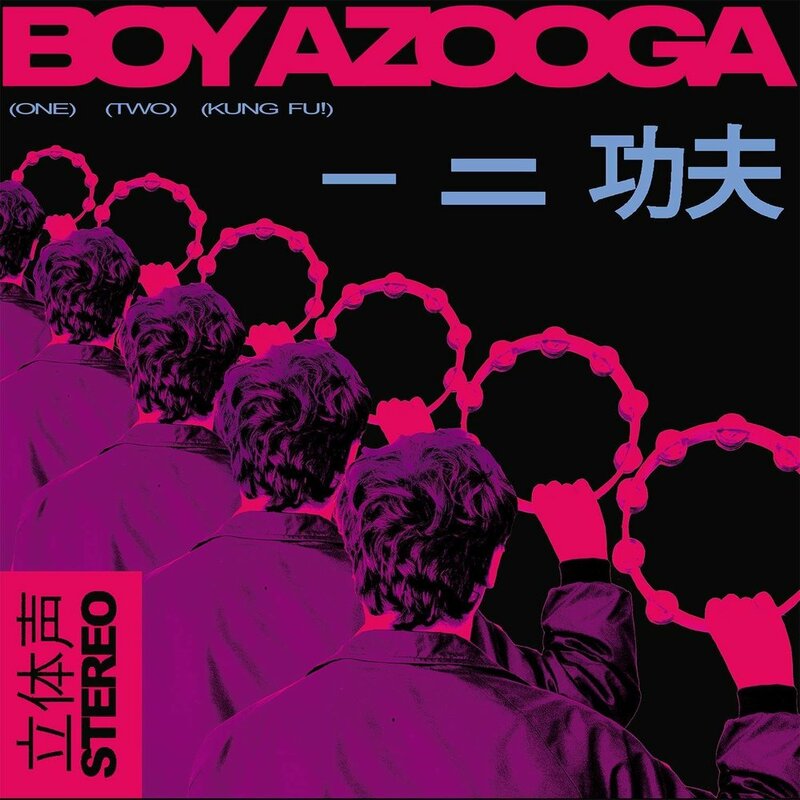 Happy to reveal the latest Boy Azooga track that I recorded/produced/mixed and mastered (ooh la laa) - it’s a cover of The Table’s, comic book dead body dance floor classic ‘Do The Standing Still’. The video (by Toby Cameron) features Kliph Scurlock, a polar bear and some confused members of the public. Have a good day. Long live The Table. Catch the Azoogas on their UK and US tour on these dates - I’ll be at the Scala gig tomorrow (Weds 17th Oct). Don’t have much to post; finishing vocals for the last track of my (and Linford Hydes’) album. The band name is VOYA. We’re keeping our heads down and keeping on. More exciting stuff coming soon though - I promise! Ahoy there - I've been so swamped recently, I've barely had time to post. Here with new music though - and one of my favourites off the record, which, by the way, is out now: http://smarturl.it/BA_12KF. The video was once again done by Toby Cameron of ON PAR Productions, shot on Super 8mm film. The video was once again done by Toby Cameron of ON PAR Productions, shot at Cardiff Dogs Home, (please donate here) and the single is out on Heavenly Recordings. It will be available on your radio dials soon. New Boy Azooga Single/Video - Longer Boogie! So happy to finally show you another track from the Boy Azooga album I produced/recorded/mixed - one of my favourites - LONER BOOGIE!!! It's a song about how it's scary outside and sometimes you want to stay inside. You got the Loner Boogie. Gorgeous video by Toby Cameron of the mighty On Par Productions. I do hope you enjoy?